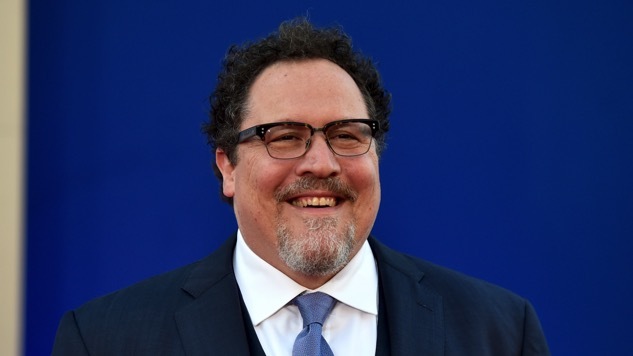 As if directing Disney’s absurdly star-studded live-action Lion King reimagining wasn’t enough, it appears Jon Favreau has added another high-profile item to his to-do list: voicing “a very cool & important alien character” in Ron Howard’s Solo: A Star Wars Story, opening this summer. Earlier this month, Favreau, best known nowadays for his involvement in the Marvel Cinematic Universe as a director, producer and actor, tweeted a picture of himself alongside Solo director Howard and legendary Star Wars storyteller Lawrence Kasdan, who penned the Solo screenplay with his son, Jon Kasdan. Just yesterday, Howard decided to clear up any speculation or curiosity Favreau’s photo may have inspired, clarifying why the group had assembled in a tweet of his own. A curious fan replied to Howard’s tweet to ask if the director himself would be lending his voice to the film. After all, Howard is somewhat renowned for his voice work as Arrested Development’s narrator—totally fair to wonder if he’d be commenting on young Han Solo’s wacky antics, as some enterprising fans have already imagined. But alas, it was not to be. It’s nice to hear that Favreau will lend his voice to a key alien character—as we have pointed out in the past, the Star Wars universe tends to use alien characters more as sci-fi window dressing than movers and shakers of the narrative. Now, to speculate wildly about who Favreau’s alien might be based on the Solo teaser. Perhaps this little four-armed pilot guy? Maybe he’ll be the main, unseen alien whom Alden Ehrenreich’s Solo appears to be confronting in this shadowy, alien-filled scene. Maybe he’s a Hutt! Or perhaps Favreau will voice … whatever this thing is. At any rate, having another veteran presence of Favreau’s caliber involved is reassuring, as Solo’s road to the multiplex has been awfully rocky. And as we also recently learned, Han Solo himself, Mr. Harrison Ford, has been involved with the production as a “covert technical advisor,” offering Ehrenreich his insights into the character and putting his stamp of approval on the film. Revisit the Solo teaser and keep an eye out for those aliens here. You can also see a new poster for the film, which opens in 99 days on May 25, below.